The harlequin beetle of Eastern Australia feeds on many species of the hibiscus family (Malvaceae), including ornamental hibiscus and cotton. I have also seen them on Flame trees. They feed on the young shoots, piercing the stems and sucking the sap. Females lay clusters of eggs around twigs and guard them until they hatch. 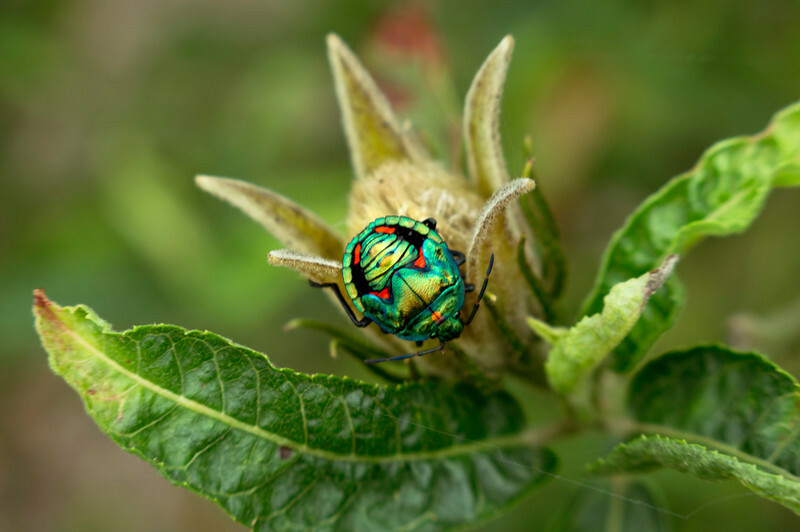 The highly saturated colours and metallic sheen of the beetles is represented accurately in the pictures.